After a year of concern over increased carbon emissions, China has claimed another gain in energy efficiency, raising questions about how it achieved the results. 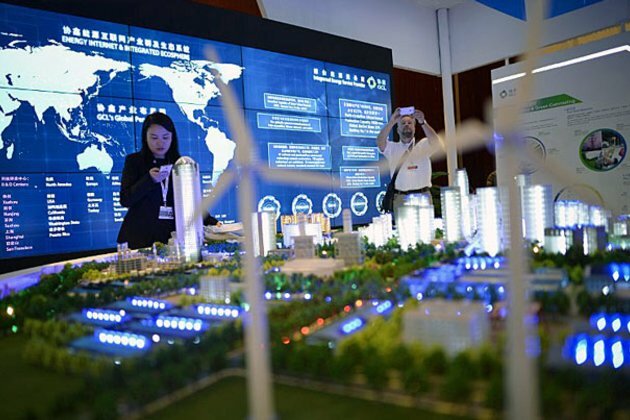 On Jan. 21, the National Bureau of Statistics (NBS) announced that energy consumption per unit of gross domestic product fell 3.1 percent in 2018, exceeding the government's target of 3 percent for the year. The measure of efficiency, or energy intensity, has been used for decades as an indicator of China's progress in curbing waste in its economy by comparing the growth of energy use with the growth of GDP. The brief statement on efficiency, contained in a lengthy NBS press release on China's 2018 economic performance, implied that energy consumption rose considerably less than the 6.6-percent rate reported for GDP. But the NBS did not give a growth estimate for energy consumption, or any other data to support its calculation, making it impossible to verify its accuracy. According to the statement, the share of "clean energy," including natural gas, hydropower, nuclear and wind power in the country's total energy mix, rose by 1.3 percentage points from the previous year. But it included no figures for each energy source or consumption estimates for electricity, oil or coal. The reasons for the agency's reticence are a mystery, since the NBS presumably could not calculate an efficiency ratio without energy data. Instead, as in previous years, other agencies have been releasing partial energy figures in dribs and drabs. On Jan. 31, the National Development and Reform Commission (NDRC), the government's top planning agency, filled in only some of the blanks. Natural gas consumption climbed 18.1 percent last year to 280.3 billion cubic meters (9.9 trillion cubic feet), the NDRC said on its website. Consumption of oil products rose 6 percent from a year earlier to 325.1 million metric tons (2.7 billion barrels), it said. Oil production and import figures suggested consumption growth. Crude oil output fell 1.3 percent to 190 million tons, but imports surged 10.1 percent to a record 460 million tons, the NBS said. More information came from the National Energy Administration (NEA) on Jan. 18. Electricity consumption increased 8.5 percent to 684.9 billion kilowatt-hours (kWh), the biggest increase in six years, the NEA said. The growth of power use outpaced the rate of GDP expansion, a sign that would normally indicate lower efficiency. But part of last year's gain reflected the government's drive to switch winter heating fuel in northern cities from coal to electricity and gas to alleviate smog. The NEA reported some good news on renewables, citing progress on reducing curtailment, or the amount of solar and wind power that never reaches the grid for consumption due to poor connections or priority for coal-fired power. Last year, seven percent of China's wind power was curtailed, or wasted, an improvement of five percentage points from 2017, while three percent of solar power was lost, down 2.8 percentage points from a year earlier, the NEA said. But the biggest missing piece in China's energy efficiency puzzle is coal consumption, which is believed to have risen significantly after little or no growth in the previous three years. Environmental groups have been warning for the past year about a resurgence of China's dominant and dirtiest fuel as the government unleashed more economic stimulus projects to slow the slide of GDP growth. In December, an international team of climate scientists at the Global Carbon Project said that China's coal consumption was on track to rise by 4.5 percent in 2018, driving up carbon dioxide (CO2) emissions by 4.7 percent. If the estimate proves true, the consequences could all but doom efforts to meet climate goals under the Paris Accord. China has regularly produced and consumed about half of the world's coal. In 2017, the high-polluting fuel accounted for 60.4 percent of China's primary energy consumption, the NBS said. So far, analysts have only partial figures to go on, but it appears that China's total energy consumption last year rose significantly faster than the 2.9-percent growth rate reported for 2017. But coal consumption, the biggest source of greenhouse gas emissions, remains the biggest missing piece of the puzzle. The NBS reported that China's domestic coal production jumped 5.2 percent last year to 3.55 billion metric tons, rising two percentage points more than in 2017. Imports of 281 million tons increased 3.9 percent, 2.2 percentage points less than a year earlier, according to customs data. The numbers suggest an increase in coal consumption, but the effect on the energy efficiency tally remains inconclusive. "There's nothing available yet to help reverse engineer this calculation," said David Fridley, senior adviser and staff scientist at the China Energy Group of the Lawrence Berkeley National Laboratory in California. More information is likely to come when the NBS is expected to issue a statistical communique at the end of the month, but the signs so far make the efficiency claim a tough sell. "The magnitude of the decline seems counter-intuitive to the degree of increase in other indicators, so we'll have to see what they say then," said Fridley by email. In any case, the energy efficiency claim may be little more than a distraction from bad news on carbon emissions growth. "Energy per unit of GDP is a very poor indicator of 'efficiency,' since it basically is dividing a physical good by a notional concept," Fridley said. "The notional concept can be massaged in many ways." "It's also a convenient way to permit continued growth of energy use and emissions while claiming things are 'getting better.' A better metric would be carbon emissions per unit of energy consumed," he said. Since the efficiency equation depends on GDP estimates, the uncertainty may only add to questions about the GDP figures themselves, which some economists believe are overstated. According to the NBS, the annualized growth rate fell from 6.8 percent in last year's first quarter to 6.4 percent in the fourth quarter, the slowest pace in 28 years. If the 2018 figure for GDP is inflated, so is the energy efficiency claim. Even if it is eventually supported by more NBS data, the efficiency gain will be smaller than those of previous years. China has been gradually lowering its annual intensity targets, arguing that the easiest energy savings have already been made in its long campaign to catch up with efficiency in the West. In 2017, the NBS said that China reduced energy intensity by 3.7 percent, topping its annual target of 3.4 percent. The energy ratio reportedly fell 5 percent in 2016 and a whopping 5.6 percent the year before. The government has gradually reduced its five-year targets for efficiency gains since it narrowly missed its goal of reducing energy intensity by 20 percent in the 2006-2010 period, recording a savings of 19.1 percent. The goals were set at 16 percent for the 2011-2015 period and 15 percent for the period until 2020. In December 2017, the NDRC warned that China would struggle to meet the 2020 target due to increased economic activity, Reuters reported at the time. The government has gradually played down the energy efficiency campaign since its high-profile effort to reach the 2010 target. In May 2010, then-Premier Wen Jiabao threatened to punish or fire officials if the five-year efficiency goal was not met. The warning led to deliberate electricity brownouts to curb power consumption, along with periodic cuts to homes and factories. Complaints over the policy forced the NDRC to promise in 2011 that such arbitrary cutoffs would not happen again. "I must apologize for these acts because we, as the responsible department, did not give proper guidance," said the then-director of the NDRC, Zhang Ping, according to the official English-language China Daily. Zhang served as head of the agency from 2008 until 2013, official biographies said.